A long time a go i did a Wallpaper for Ragol.co.uk, it had a grid, it contained ending images and screenshots from several members there, it was a rather basic wallpaper on a rather small resolution, but at the time i liked the outcome. Recently i decided to improve on that concept and made a bigger wallpaper with more frames for images, this time however i didn’t use screenshots with charathers in them, I decided to use the screenshots i have taken in PSO BB without the hud or my charathers. – 1 image from an old PSO Wallpaper with the iconic explosion in Ragol. 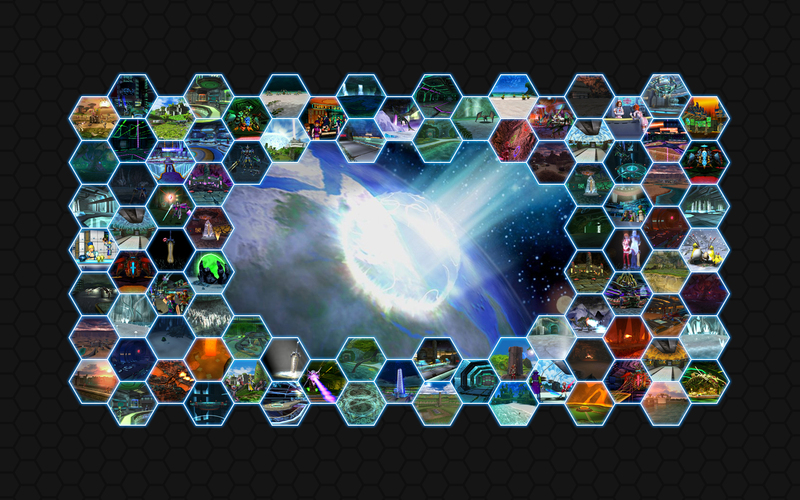 – 12 images from the Misc ending in PSO v2. – 12 images from the Normal ending. – 60 screenshot images taken by me. I must admit this took some time and at the end i was scavenging screenshots for something good and appealing, so while you may recognize the majority of the images, there might be some that weren’t uploaded on my deviant art, if you wish said pictures in their respective full sizes then leave a comment with the request, for all the other images you can just check my deviant art, i believe you may find them. Yes, the images here are small but that is somehow intended so that both Sega images and my images share the same quality, the ending images by default are small and don’t really have that much of a quality standard (it wasn’t the purpose of the image anyway), my images were by default around 1600×1200 with exceptional graphical quality, so here they kinda lost a lot of detail. I’ll consider this my final PSO wallpaper i guess since it has a collection of many screenshots i took, enjoy. If only there were some PSO2 shots to update it with.